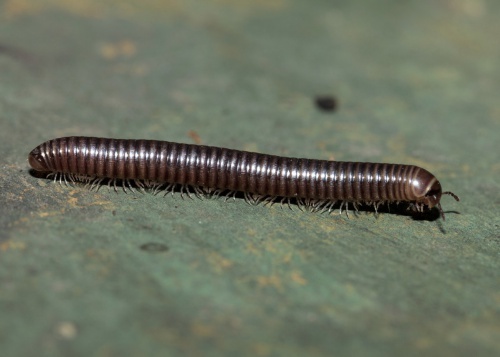 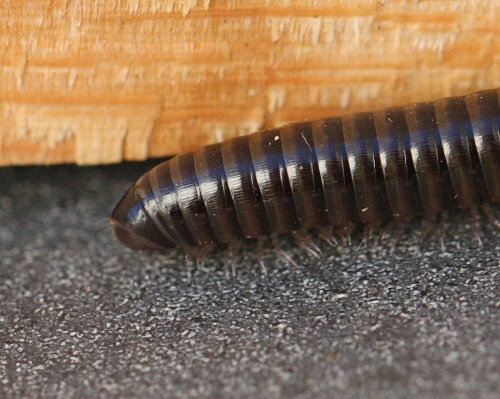 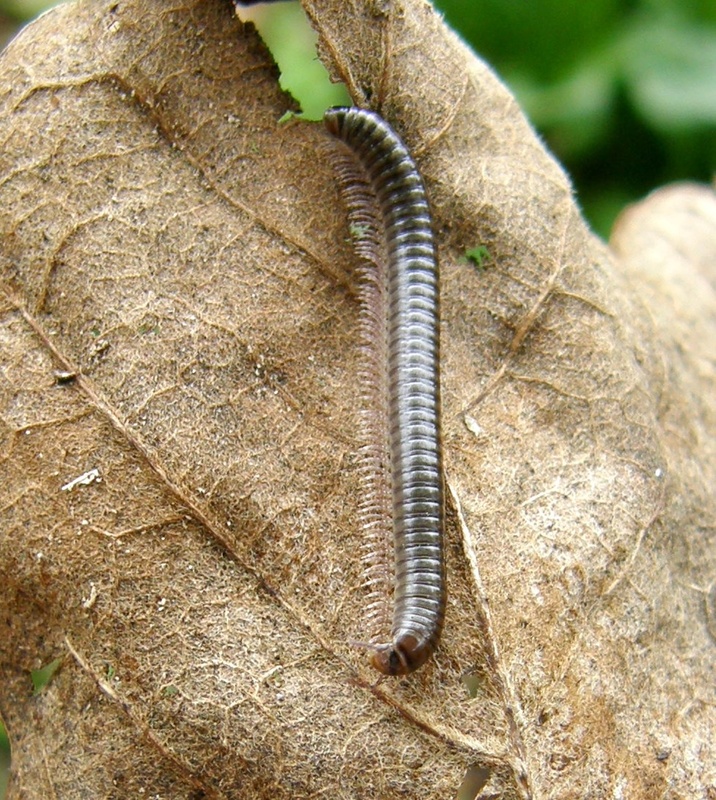 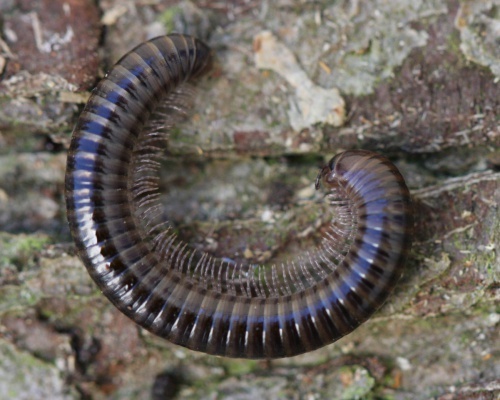 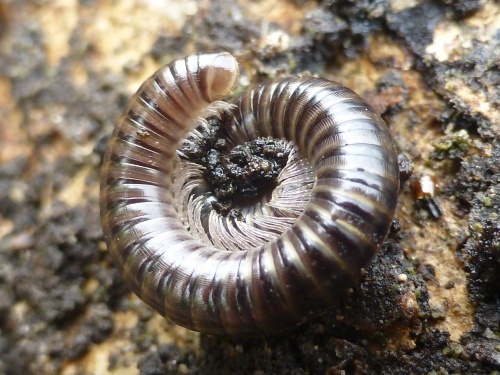 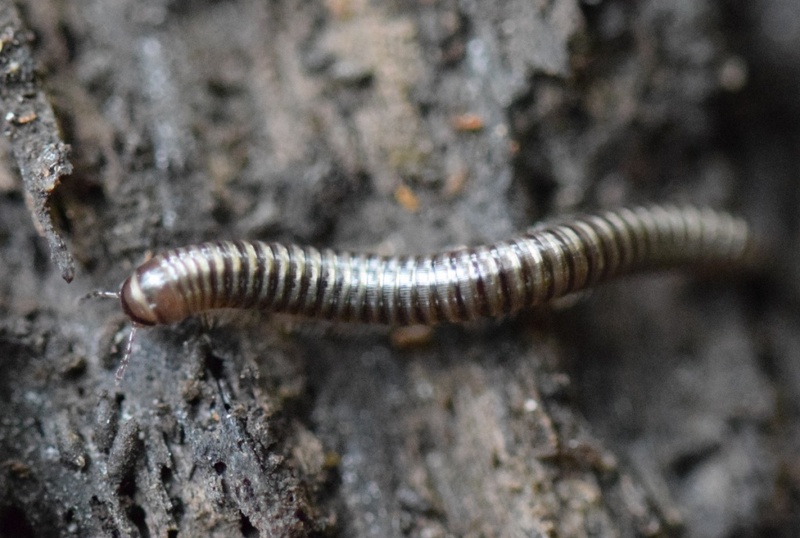 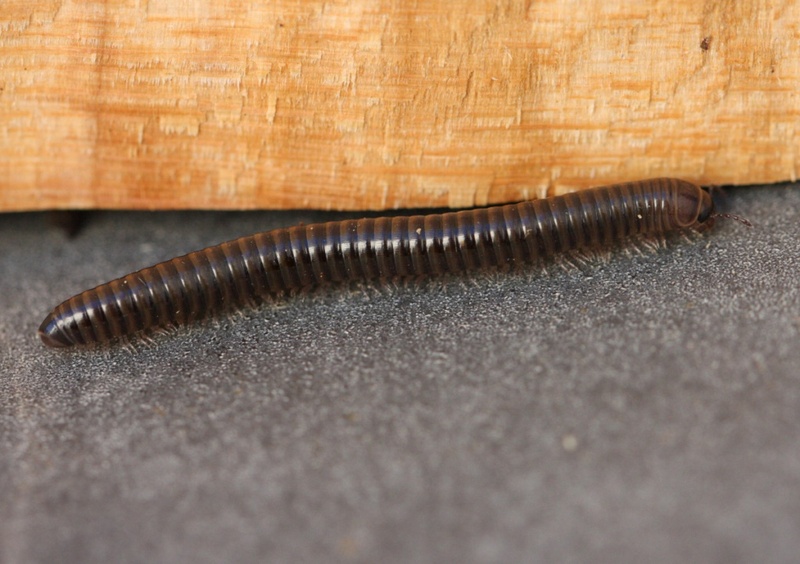 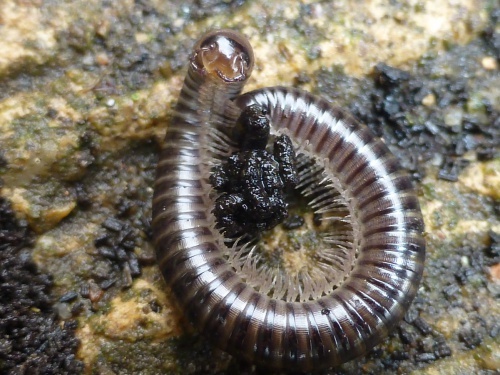 A large (20 to 30 mm) millipede with a kidney shaped ocelli patch. It is brown-black with brassy edges to the segments and no rear-pointing projection on the telson. Often associated with human settlements and cultivation, including parks and churchyards. 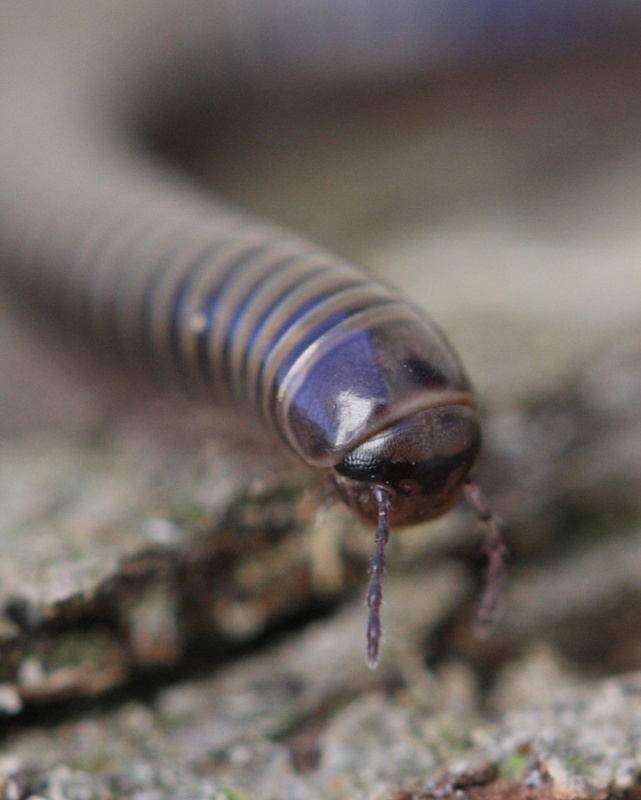 Common in the South-east of England.